Seconds to Give | We collect second hands goods in Australia and distribute them to people in need in the Philippines. 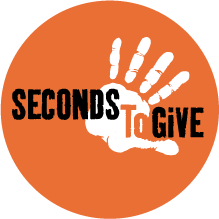 Seconds to Give – We collect second hands goods in Australia and distribute them to people in need in the Philippines. We collect second hands goods in Australia and distribute them to people in need in the Philippines. We collect second hands items in Australia and distribute them to people in need in the Philippines. Our mission is to alleviate poverty on a global scale, one village at a time. Our mission is to bring joy and to make a positive difference to people in need - both within Australia and internationally. We were formed in 2005 in Melbourne (Australia). Seconds to Give is run and resourced entirely by volunteers. All funds raised go directly to our activities.